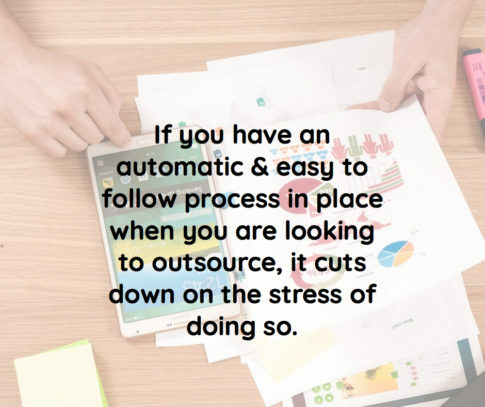 Lets look at how to outsource tasks that you find undesirable to do or ones that take up too much time. There are two different ways that we are going to cover as far as outsourcing – the one-off method and recurring. The one-off method – In this method, you periodically hire someone to do a specific task for you. Let’s take creating an ebook cover for example. To do it right takes some knowledge of graphic design. It is more than coming up with an image and slapping some text on it and your name. Color and graphic elements all must work together as it is the first thing a potential customer will see. Not having a cover that grabs their attention can cost you dollars in lost sales. Many solopreneurs that need a document cover for their products will hire someone from a freelance site like Fiverr. For usually $20 or less, you can get a quality cover designed and delivered in a few hours to a few days by a professional in that field. Give that person a rough outline of what you are looking for and let them do their job. You can use that saved time to do other things that you are good at doing. Recurring method – In the second method, you hire someone either on a monthly basis or on a contract experienced at doing a specific thing for you on a recurring basis. How recurring is laid out in detail in the contract you have with that person. This person is usually known as a virtual assistant (VA) – and they can be a valuable asset to any business if you find a good one that you work well with. For example, let’s say that as part of your blog or website that you have a support/help desk. Taking time to research and answer the questions, concerns and problems from your readers can chew up considerable time – time that you could use for something else. However, if you have a VA do this for you, your customers get answers to their support tickets or help desk requests in a timely manner, so they are happy, and you are happy because you were able to use the time it would have taken for other things that you are good at doing and will help grow your business.